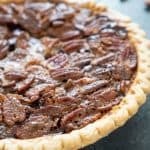 This Chocolate Pecan Pie is the ultimate indulgent dessert recipe, perfect for Thanksgiving dinner or any special occasion! 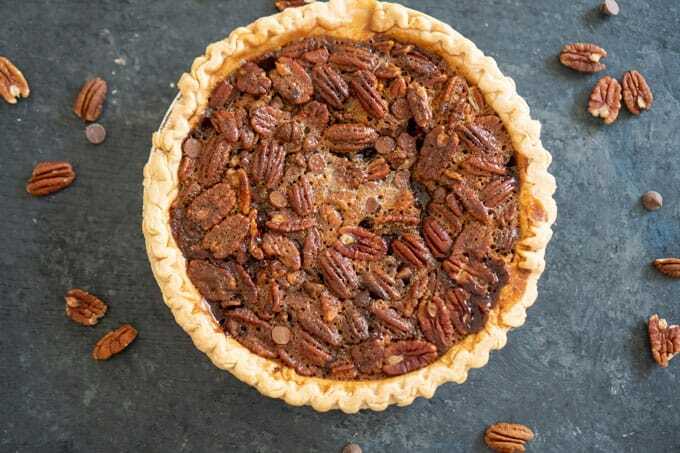 I’ve already shared my Nana’s Pecan Pie recipe here years ago, it’s been a staple year after year on our Thanksgiving table. This year, I decided to make it even more indulgent by adding chocolate and let me tell you, it’s a winner! 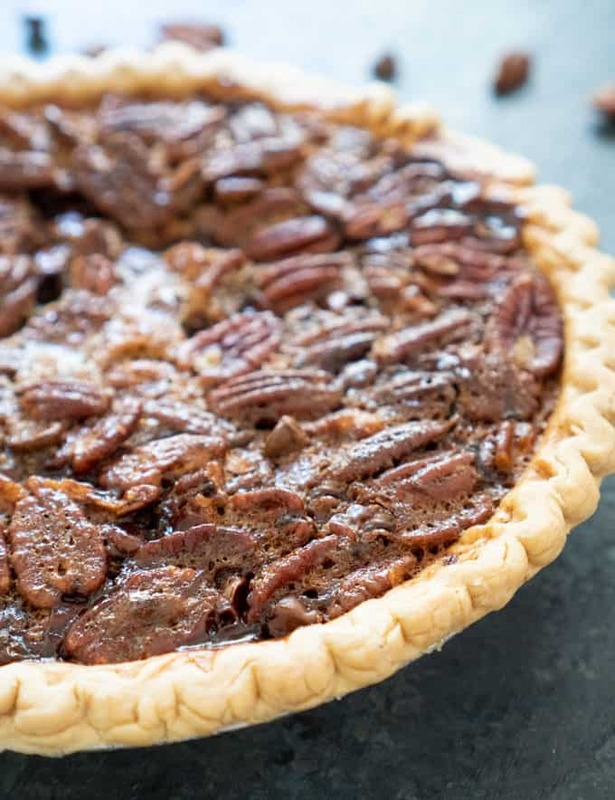 This rich, sweet Chocolate Pecan Pie recipe is definitely going to be making the rounds this Thanksgiving! It honestly doesn’t get more indulgent than this! To change the recipe from the original I cut the butter slightly and replaced the brown sugar regular sugar, then added chocolate chips. The result is decadent. This is definitely a special occasion dessert recipe! I love this recipe because it is so sweet you can have just a small slice and even the most voracious sweet tooth will be satisfied! I get at least 8 servings out of one pie. Top with whipped cream or leave plain, either way, it’s delicious! Preheat oven to 325 degrees. Place premade pie shell on baking sheet. In a large bowl, combine corn syrup, sugar, butter, vanilla, and eggs. Whisk until combined. Pour mixture into prepared pie crust. Bake for 60 minutes or until middle is set and bubbling. 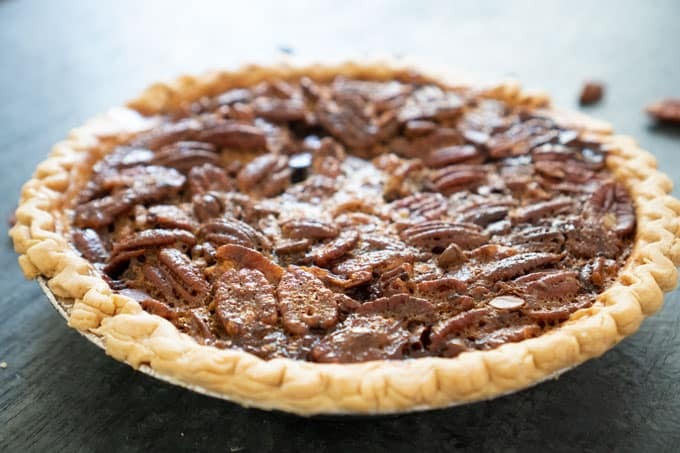 If crust starts to brown before pie is done, cover with strips of aluminum foil.